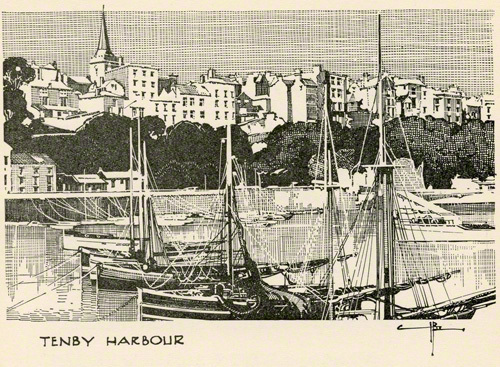 In this second pencil drawing Claude Buckle captures more details of the town of Tenby from within the harbour walls. Pembroke castle is 10 miles to the west. Created in 1953.